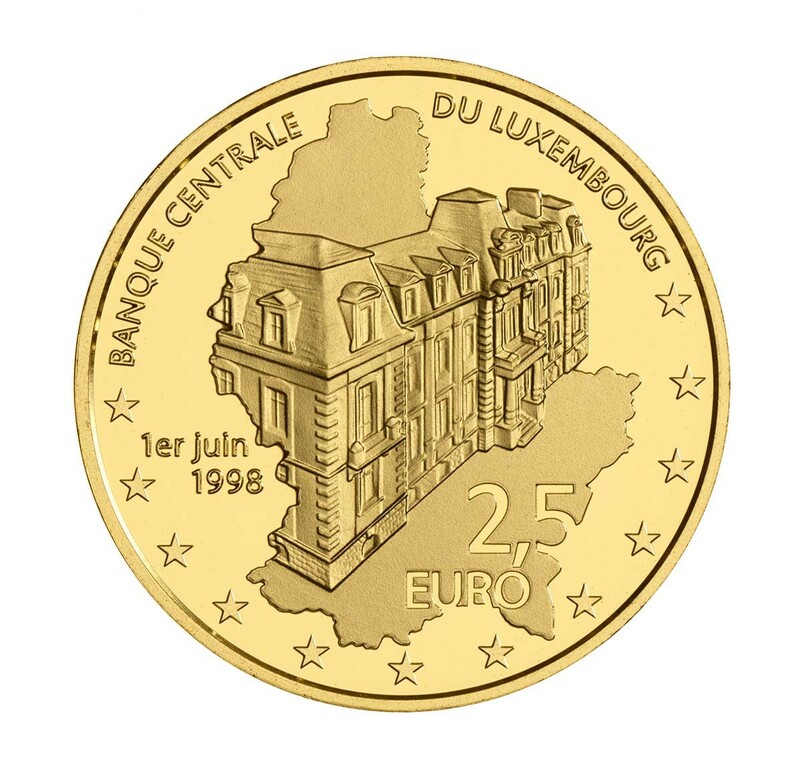 The Banque Centrale de Luxembourg has issued (31st May) a new coin that marks the 25th anniversary of the founding of the country’s central bank, which came into effect on the 1st June 1998. The central bank is the successor of the former Institut Monétaire Luxembourgeois (IML), which was itself founded in 1983, and whose primary function was that of a regulator of the commercial banking system in Luxembourg in addition to being the issuer of banknotes and coins. On the 1st June 1998, the function of the Institut Monétaire Luxembourgeois transitioned into a full central bank under the rules and regulations of the European Monetary System and underwent a new name change, the Banque Centrale de Luxembourg. This was incidentally, the same day of the inauguration of the European Central Bank in Frankfurt. The Banque Centrale du Luxembourg (BCL) remains the monetary authority of Luxembourg, and, as a member of the euro system and the European System of Central Banks, is the regulator of the euro single currency and operates within these parameters. The role of the BCL is of utmost importance, not only for the euro area, but also for Luxembourg. The treaty on European Union and the advent of the euro made the establishment of a central bank in Luxembourg an absolute necessity. The BCL is entrusted with essential missions related to monetary policy, the issuing of banknotes, financial stability, payment systems, and economic analysis. The coins are produced by the Mint of Austria at their facilities in Vienna, on behalf of the Banque Central de Luxembourg. The reverse side of the coin depicts the current edifice of the Banque Centrale with the outline of the map of the Grand Duchy behind providing the backdrop. The text BANQUE CENTRALD DE LUXEMBOURG is placed along the upper edge of the coin above the primary design with the coin’s denomination of 2,5 EURO placed to the lower right. The commemorative date of 1er juin 1998 is seen just to the lower left of the bank’s image and the inclusion of 12 stars providing a border below the primary design represents the 12 original member states of the European Union. The obverse includes a stylised effigy of HRH Grand Duke Henri, who is in profile and facing to the right. 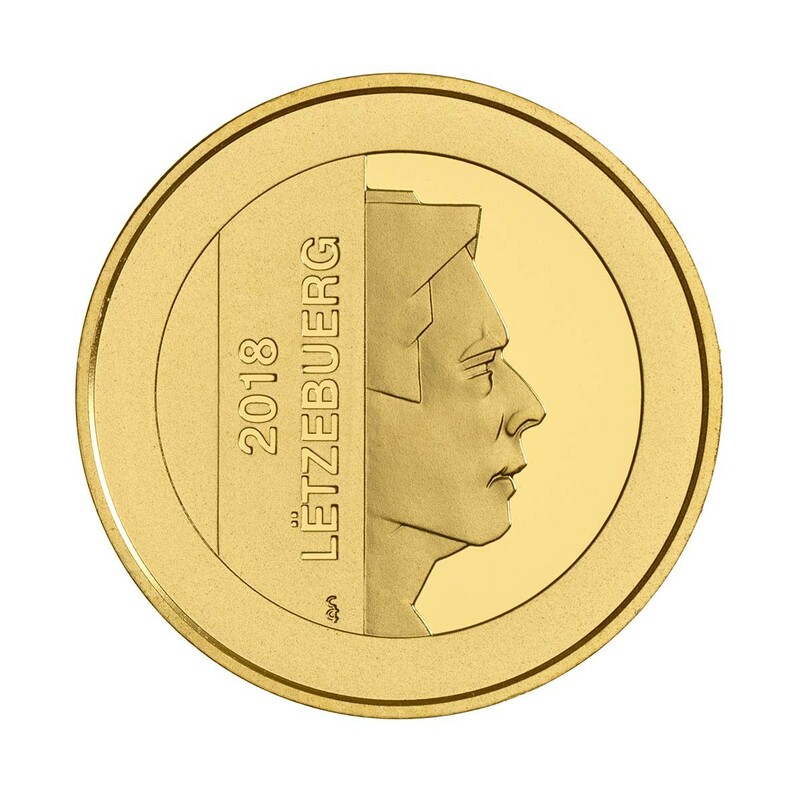 The year of issue and text 2018 LETZEBURG is vertically placed along the left of the portrait. The coin is available directly from the Central Bank of Luxembourg’s own online retail distribution. For additional information on this coin and other coins available from the Banque Central, please visit its website.